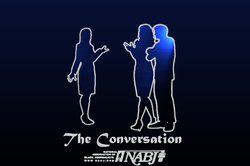 The Conversation is a online news-talk show about "people on the move" in Memphis and surrounding areas presented by University of Memphis' Association of Black Journalists. From authors, comedians and Apollo Legends, this team of journalists discuss it all from light pop culture to hot button social issues. The show is the first student-produced online news magazine of its kind under U of M's NABJ.